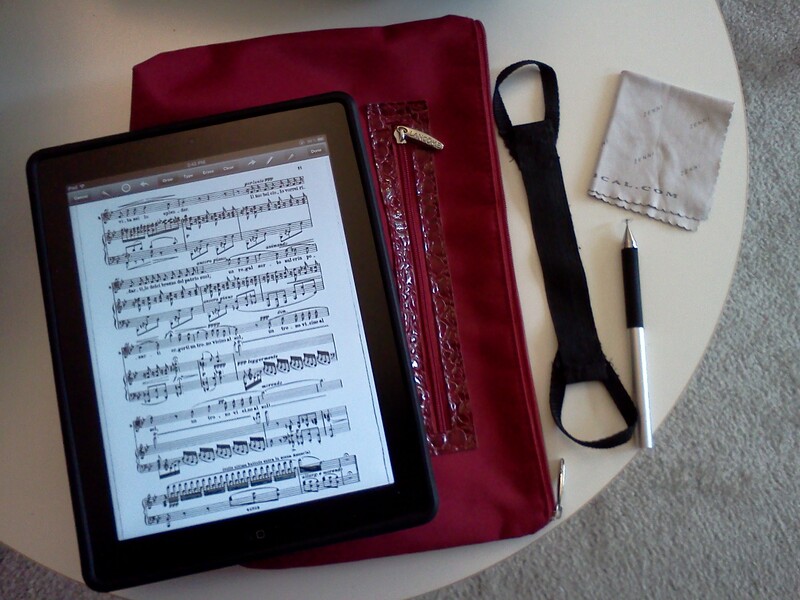 Today, Chris Russell from Technology in Music Education brings us two posts of note (thanks, Chris!). The first post relates his chat with Matt Sandler, Co-Founder and CEO of Chromatik, a new music reader app for iPad and browser-based platforms that’s planning to release this fall. Chris reports that Chromatik will have a number of features not available from music reader apps currently on the market, such as support for more file formats, internal tracking of page/measure/rehearsal numbers and codas/repeats, built-in music distribution to your ensemble, and the ability to record while simultaneously playing a reference recording (useful for individual/group practice or student assessment). Chromatik has also attracted $1.1m in funding and some high-profile beta testers, like American Idol. This music app/platform is worth keeping tabs on – sign up for the beta here. The top glove is the Hand Glider and the bottom one is the SmudgeGuard. 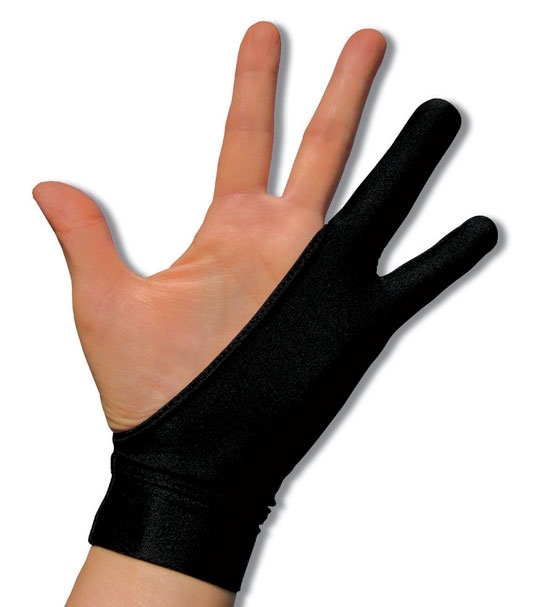 Or, as other stylus users have done with satisfactory results, you can go the DIY route and cut fingers off of a gardening glove or stretch knit glove. Personally, I’m waiting until the gloves above are available in Silver Glitter.